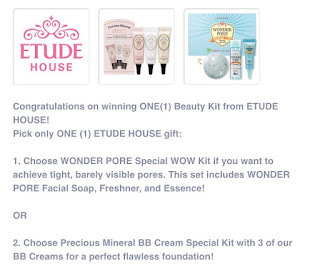 I had recently redeemed a sample kit from Etude House. 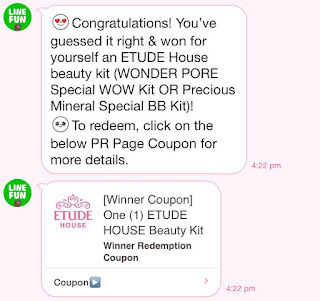 I kind of "won" it when I participated in the LINE contest. 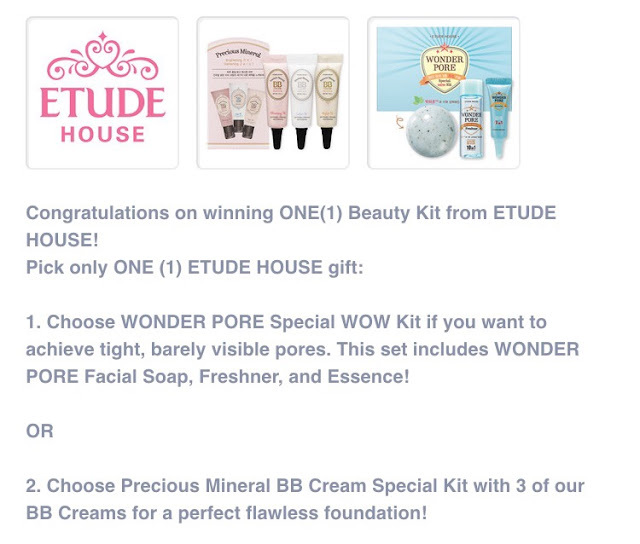 There are alot of contests happening on LINE and I never seem to be able to win anything. 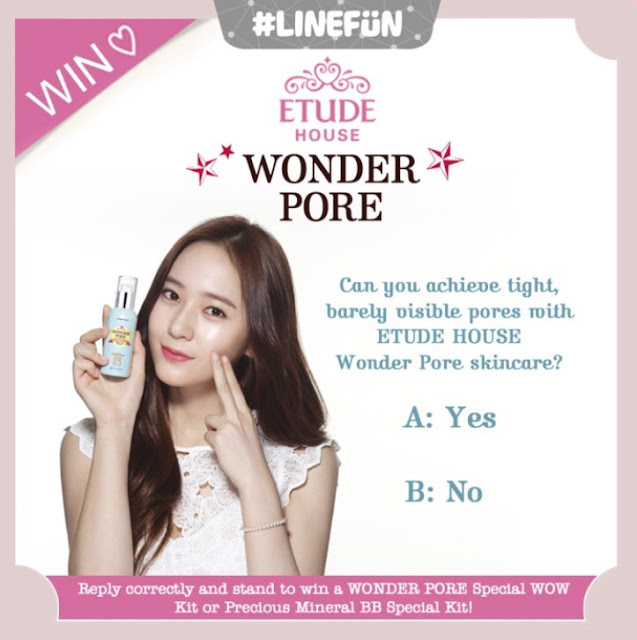 In this case Etude House collaborated with LINE for its giveaway. 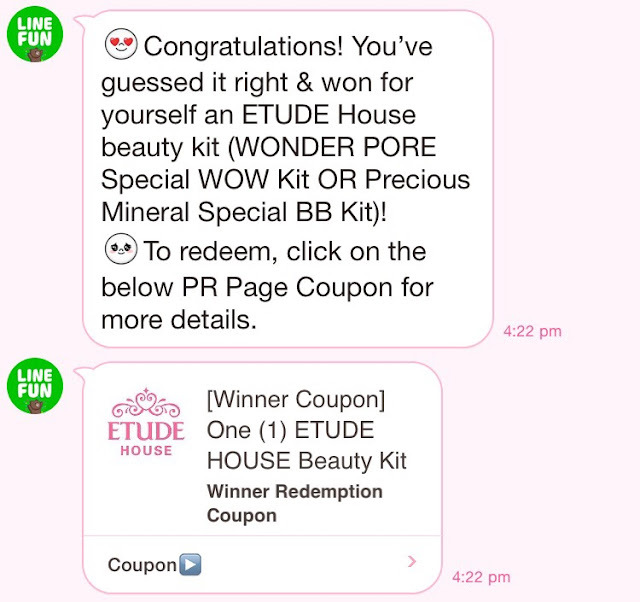 My first ever "Congratulations" after participating in so many contests. I always get a "You're so smart & got it right! 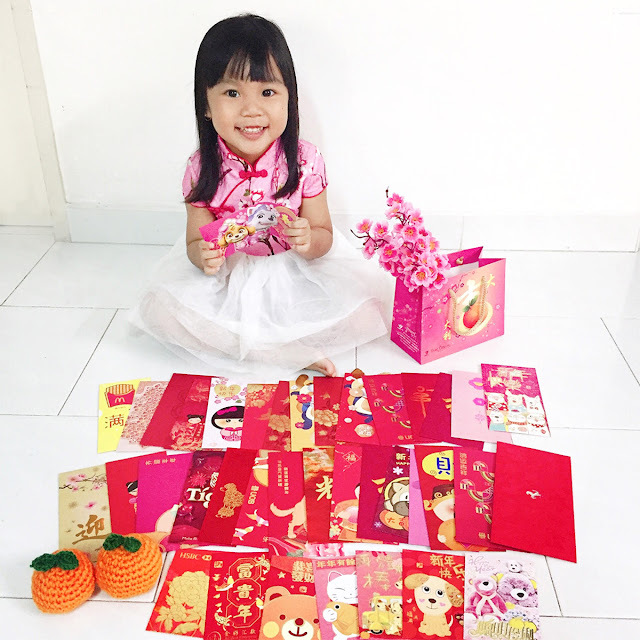 But too bad, someone have a better luck & won ...... " Lol. Tough luck. The WONDER PORE is the range of products on Etude House's highlight, displayed right at the entrance of the shop. This range has very pretty packaging. 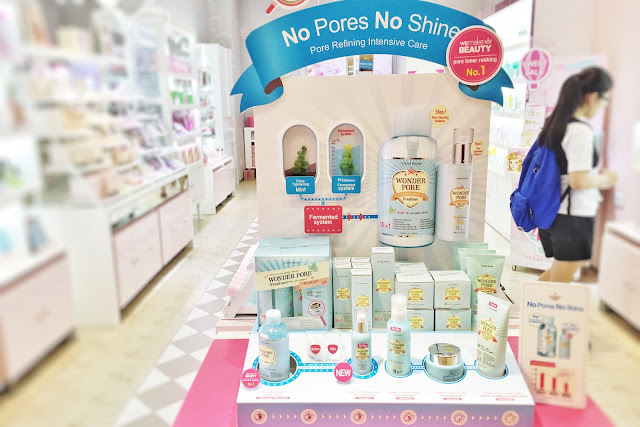 But then again, korean brand skincare/cosmetics are usually this pretty. 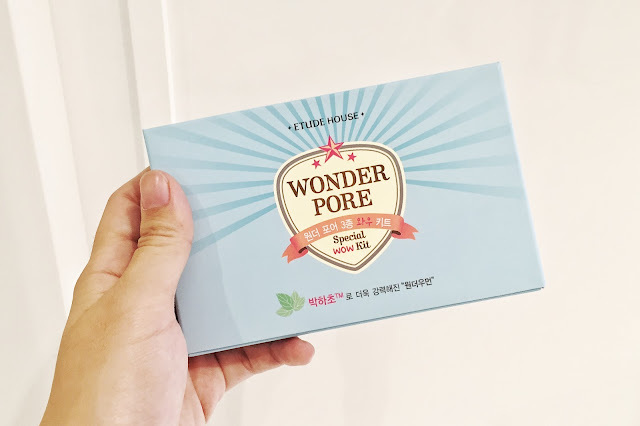 Here's what are in the Special WOW Kit: WONDER PORE Facial Soap, Freshner and Essence.